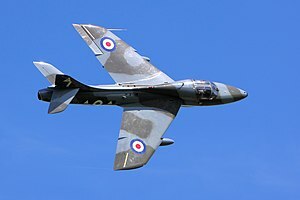 Hello all, after one week we will have an access to the newest plane - Hawker Hunter, tier X multirole British plane. This plane is one of the most advanced first-generation jet fighter, introduced in 1954 and retired from military service all the way through 2014. Nevertheless it is still active as civilian aircraft and as an aggressor in the military exercises. This makes Hawker Hunter one of the aircrafts with the longest service. It is said the Hunter proved to be much more successful than the Supermarine Swift. 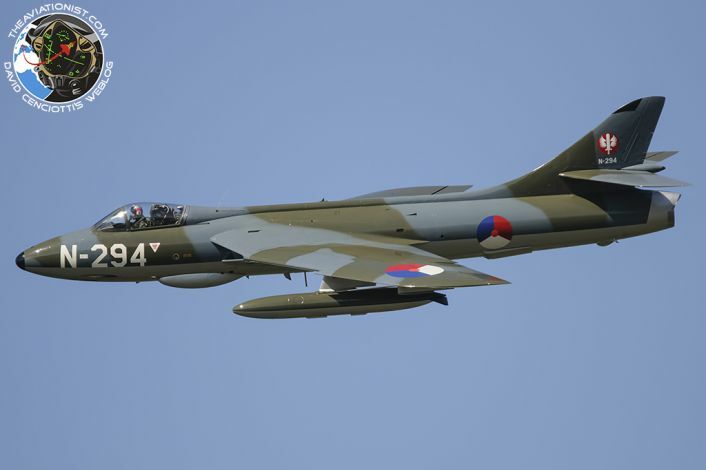 Hawker Hunter is equipped with 4x ADEN 30mm cannons. It's swept-wing, attached in the middle of the fuselage at 35o allows reaching very high speeds, compared to the straight wings of de Havilland Vampire, de Havilland Venom and Gloster Meteor. Thanks for the time, I hope this will be interesting for you as it was to me while searching the info and writing this topic. Edited by Piq_Mastika, 11 January 2019 - 12:45 PM. Thank you for this wonderful info. GJ! I am so much looking forward to Hunter that I've already made 380k free XP to unlock and buy it the very first second it arrives. It will be good in flight characteristics (it has to be, it is such a great rl plane) but what's more important, it will have 4 ADEN. And that's some serious firepower for a fast and nimble plane. 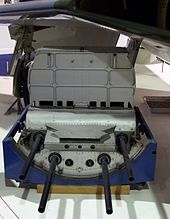 Basically you'll get a very slightly clumsier Swift but immensely more powerful in armament & ordnance. I accept this deal gladly! I just hope for ONCE this plane will come with Dutch air force markings ... there are 2 Hunters that are airworthy. They were grounded after an accident with a Hunter during a UK air show, but flying again. Edited by GonerNL, 10 January 2019 - 03:38 PM. It is more than possible to see Dutch paint. As I know if flied for Netherlands, too. One of the most famous actions of Hunters, now all but forgotten. Chile 1973, military junta coup, a group of Chilean Air Force Hawker Hunter jets bombed the Presidential Palace. I'm betwixt and between on this one. Yes, I will welcome a new tier 10 aircraft in the hangar - I'm in the fortunate position of being able to research it and set it to elite status the moment I see it - but there will be the unsettling thought that this "historical" aircraft is one I used to watch taking off and landing regularly at various RAF bases when I was a lad. I'm not sure I like the idea of being in the same "historical" time frame! Oh, as an aside; the Supermarine Swift was introduced as a kind of "insurance" against the Hawker Hunter not being a success. It turned out that the latter was a much better aircraft. Within the game the Swift is a plane I regard as requiring a high level of skill to play effectively and, further, it is also one that benefits greatly from the right kind of specialisation when eventually you manage that. Edited by RoyalFlyingCorps, 12 January 2019 - 08:59 AM. There is no chance to be the same. The Hunter will be balanced of course. There are t10's who were built in 1945 and retired 3-4 years later. Compared to the 50 year Hunter history means the Hunter was really great one. Then perhaps with a similar history I can regard myself as a "really great one"! We'll wait to see how it's balanced in the game. I don't expect authenticity from WoWP at this level so anything from "turkey" to "OP" seems possible.